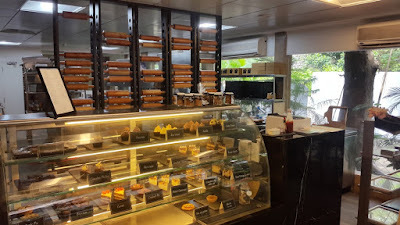 Grubzon - A Gourmet Voyage: Ellipsis Bakery - Worli, Mumbai. A mix of an industrial estate and a construction zone may not be the best place for a bakery but the best of surprises are oft found in the strangest of places. 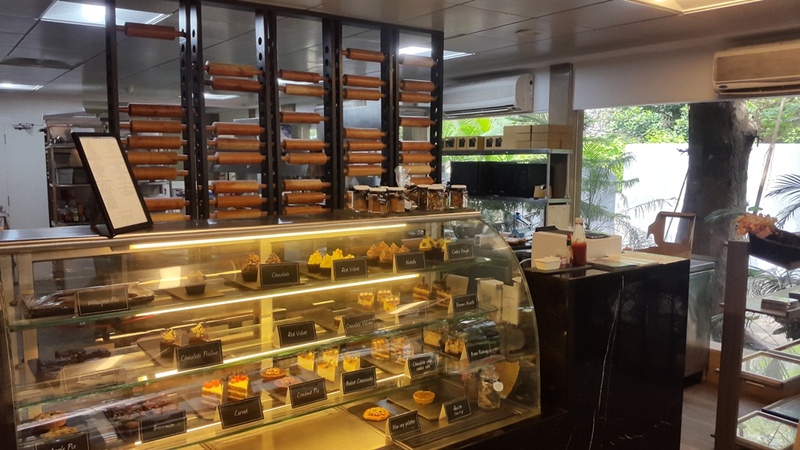 Literally a hidden gem, Ellipsis bakery is located in the midst of a cluster of Industrial units, construction zones and residential buildings. But that owes to the fact that this bakery is indeed its namesake and not intended to be a cafe. Still, it does have a comfortable seating area that makes it resemble a proper cafe. And it does have enough goodies to ignore its location and just be there for some good grub. One fine overcast afternoon, I walked my way to Ellipsis. The place was a little difficult to locate as it isn't exactly on the spot Google maps suggests it to be but the good ol' way of asking people for directions still works well. The smell of fresh baked goodies had made the air pleasant inside the property. I sit as I hummed and smiled to the pleasant smells in the air. Ellipsis artisanal bakery - show me your grub. 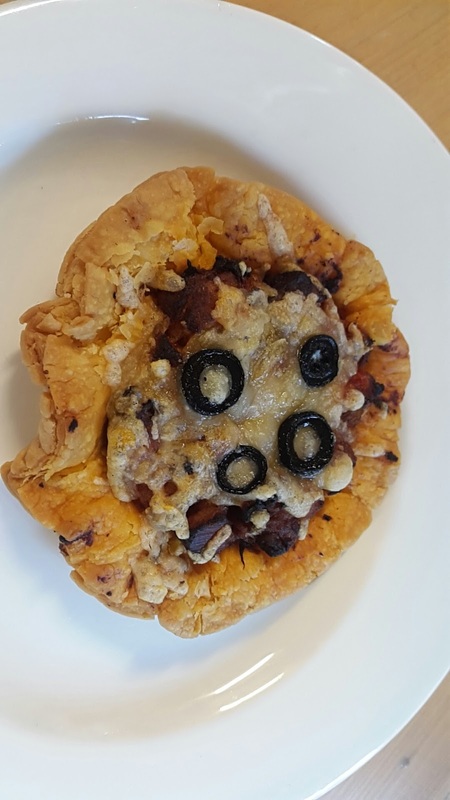 Chicken Galette was a tasty crusty preparation with a salty base and chicken that had a smoky barbecue like flavor. This would make a great snack for a party or a meeting. 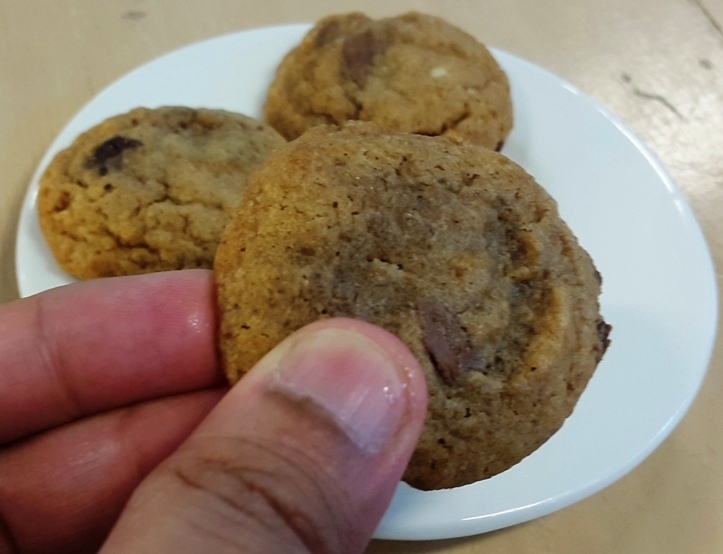 These small Chocolate chip cookies were soft and chewy made from the best cookie dough and chocolate. The flavor makes the cookies quite addicting and I am positive that the cookie monster would have made a raid for these. 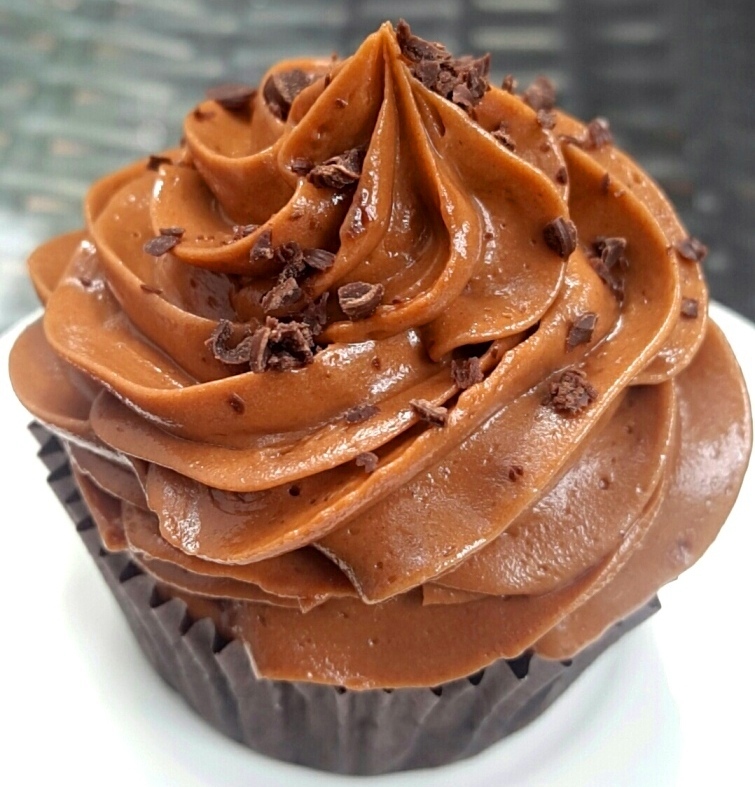 Feast your eyes upon this gorgeous Nutella cupcake. The cake below is super soft and sweet. The icing consists of a mix of Nutella and salty butter cream giving it a cheese like saltiness. There could not be a more perfect cupcake that I have come across. Usually the topping dominates the treat but here the cake base was equally good if not better. Red Velvet Cheesecake was a beautiful, creamy and a tasty delight. 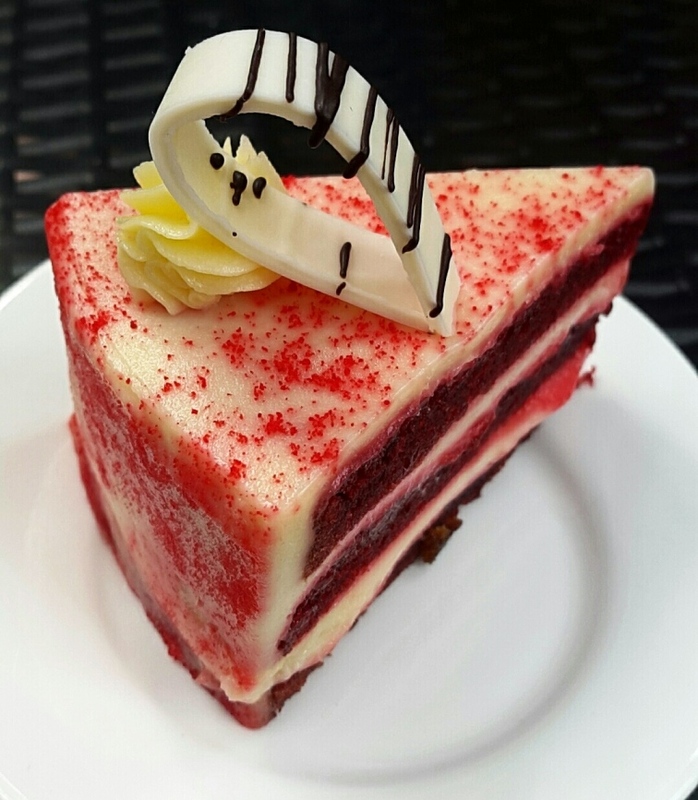 The bakers used premium cream cheese to layer the red velvet cake. The cake itself felt like a regular red velvet that you can find elsewhere but the cream cheese was the real star of the show. Not to mention, this particular image was loved on my Instagram going slightly viral. 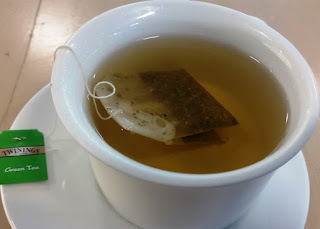 I ended my trip with a cup of Twinnings Green tea to wash down all the carbs. The service was a little awkward as they served me the above items without me actually choosing those. I would have liked to sample more savories and place my order but I guess that it was a special case for me as they had called me to sample the goodies. They probably put out their best cards on the table. The pricing is on the higher side. Though it seems to be on par with most premium baked good brands like Moshe's or La Folies. I loved my trip to Ellipsis and enjoyed the few things that I could try there. For a small place, they certainly have a wide array of offerings. The place even has gluten free options available. Their goodies are sold at big marts and other restaurants. They also serve catering orders and corporate events. The location makes it a bit hard for common people and hopefully they would open one of these delightful shops in a more accessible area in the future. Till then, enjoy a little adventure to find a gem hidden deep inside the concrete jungle. Will surely visit this place soon. Lemon Leaf - Fort, Mumbai.